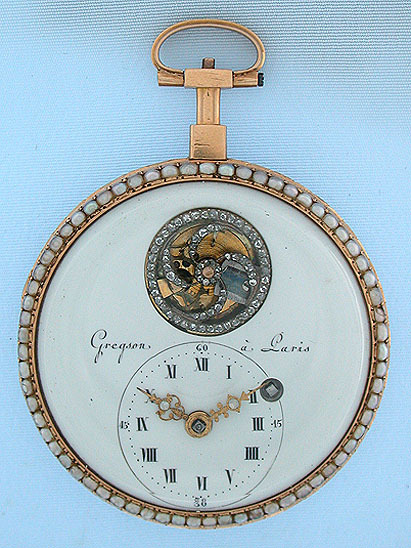 Beautiful and scarce French 18K gold pearl and painted enamel extra flat antique pocket watch with stone set visible balance by Gregson, Paris, circa 1810. 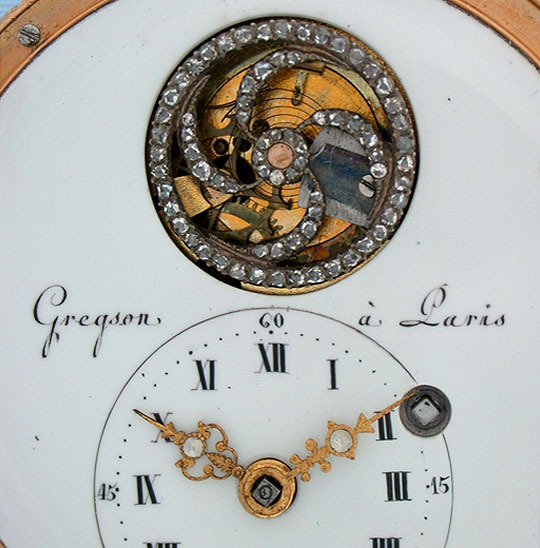 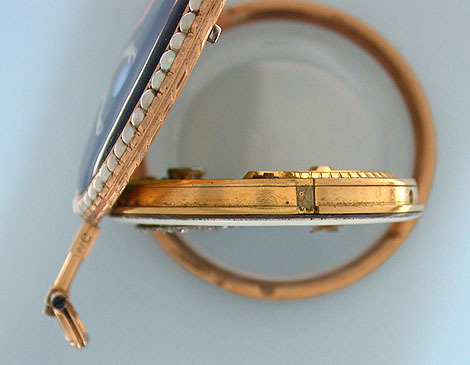 The bezels set with pearls, the eccentric white enamel dial (fully restored) with aperture for the stone set cylinder escapement. 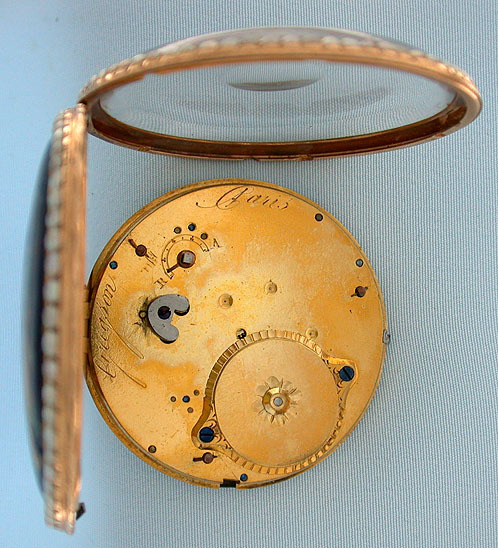 Running but not a good timekeeper. 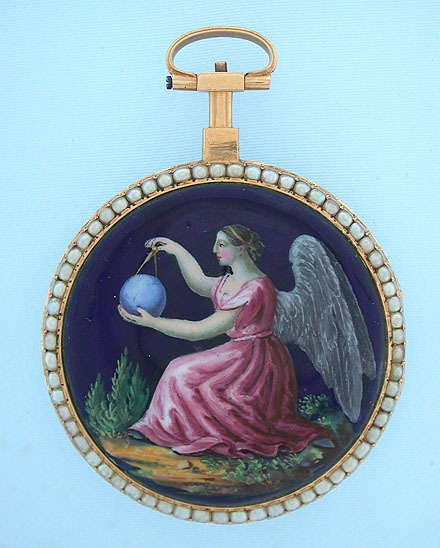 The back with a lovely painted enamel allegorical scene of an angel with globe.